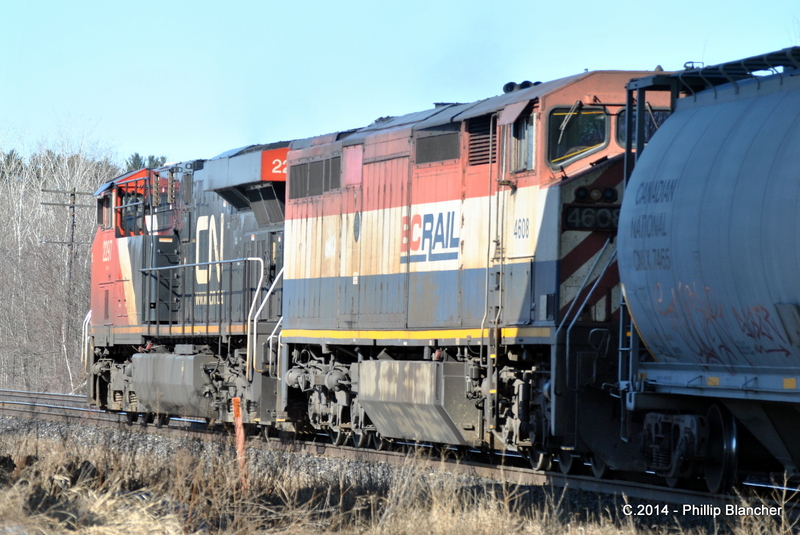 An hour in Iroquois Railfanning. I spent an hour this morning at the site of the former railway station at Iroquois, Ontario, Milepost 100.2 on the CN Kingston Sub. This section of the Kingston Subdivision was built as part of the St. Lawrence Seaway project in the 1950’s. The original railroad line was approximately one mile to the south of this location but was required to be rerouted to avoid flooding from the creation of Lake St. Lawrence. 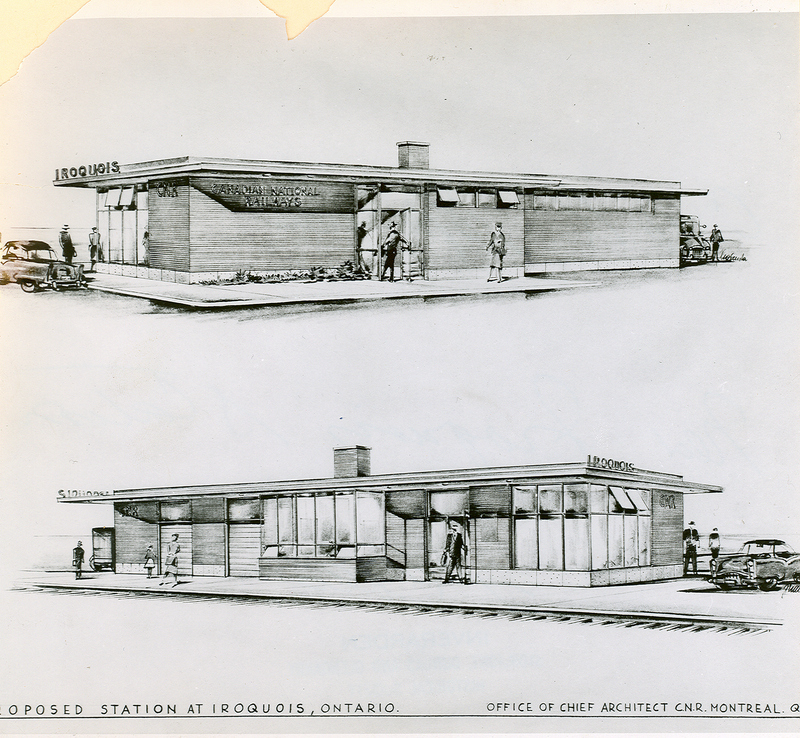 The station in Iroquois was one of five “1950’s” style stations built on the new line, continuing to Morrisburg, Ingleside, Long Sault and Cornwall. The station was closed in the middle of the 1960’s, and suffered from many acts of vandalism in the decades to come. The burned-out remains of the station was finally demolished in 2002. The parking lot is still CN property and has trespassing signs posted. However Station Rd comes to an abrupt end at a dead-end sign 25 feet from the right-of-way. You can park your vehicle there and remain on the end of the road, having a great vantage point to take some photos. Looking east, one can see a mile down the line (see photos of the second train in this post), while looking west has a shorter visibility thanks to a curve to the south. There are grade crossings are about a mile-and-a-half away on either side of this location so you will hear the trains coming long before you see them. With a long lens, you can also see the mid-block signals to the east of the station site, if you know how to read them. First up was this eastbound mixed freight, two engines. 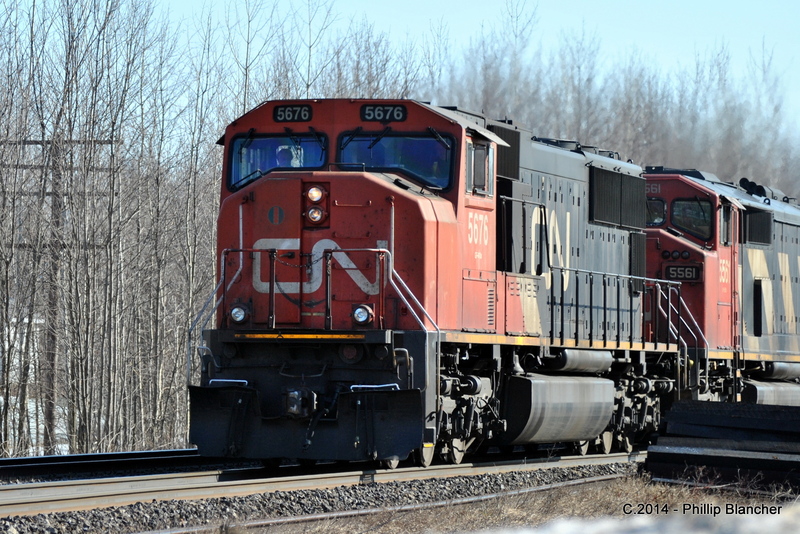 CN 2698, a General Electric(GE) C-44-9W and CN 5368, an Electro-Motive(EMD) SD40-2, built originally for Missouri Pacific. 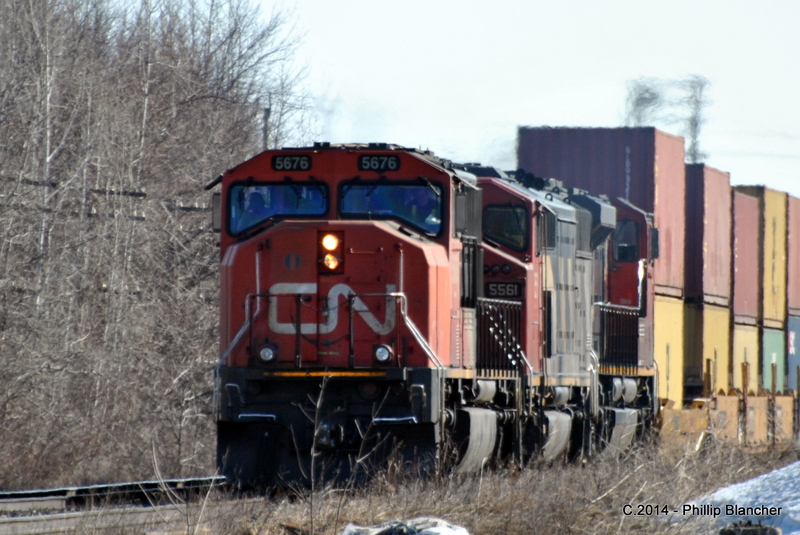 After a bit of a wait, I spotted in the distance an approaching westbound intermodal train with three locomotives, CN 5676, an EMD SD75I, 5561, a GE Dash-8-40CW and another GE locomotive, which the number I missed. I was in la-la land and didn’t see this last westbound train, a mixed-freight until it was already under the Carman Road overpass. Interesting to see was the “Draper-Taper” BC Rail unit in the consist. 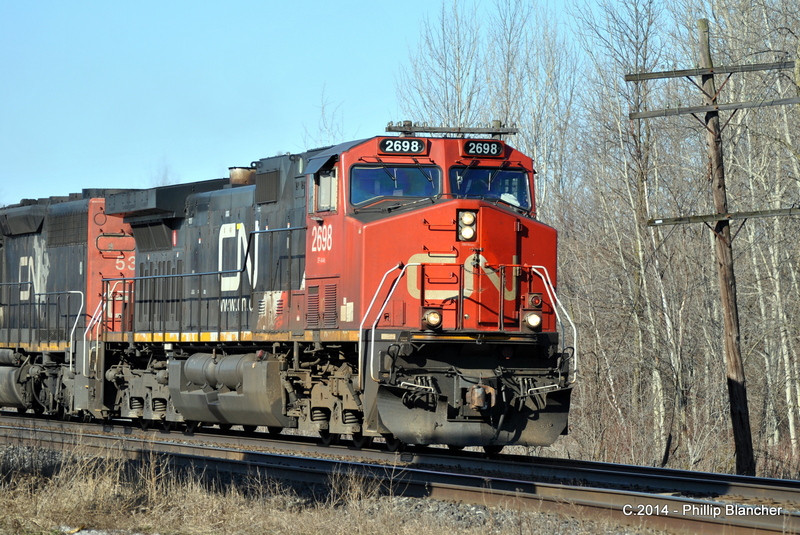 CN 2297, a GE ES44DC and BC Rail 4608, a GE Dash-8-40-CW. Almost missed this one. Need to stop checking my “smart” phone.